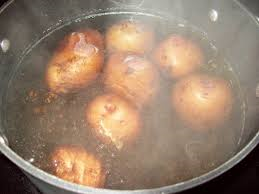 Try boiling one potato in a whole saucepan full of water - it takes ages, is wasteful and, as economists would say is highly inefficient. There are two solutions. You can tip out most of the water and try to find the perfect amount to boil one potato (try modelling that!) or you can throw in a few more spuds. That is the obvious solution and it is why the single-product small biotech company is an extravagance that will rarely provide a sustainable model, either for investors (who generally recognise this) or for entrepreneurs (many of whom do not)! For some time the investment climate for UK small biotech has been changeable at best and at worst it has been downright chilly. It is increasingly noticeable that this mixed climate has been reflected in not just on the investor side (i.e. in terms of the nature of investment activity and identity of investors), but also increasingly in the organisation of small biotech start-up companies, and the outlook of the entrepreneurs behind them. It has been commonly accepted for over a decade that consolidation is required. However, it is time we started seeing consolidation taking place at the earliest stage and being entrepreneur-led rather than corporate or investor-led. is it inherent risky, and that risk is binary - sooner or later start-ups can be marked as a success or a failure, and there is rarely any middle ground. It is no surprise then that there has been an ongoing retrenchment by venture capitalist activity in biotech - the biotech development model and the VC investment model has for some time been in danger of looking irreconcilable. The exit data corroborates this retrenchment rationale. In 2012, the average period for VC-backed companies to reach an exit was averaging approximately 9 years - this is just not compatible with the VC fund management model. This in turn had led to a growing unease amongst big pharma companies, who look to biotech for their pipeline of future blockbuster drugs (against a looming backdrop of various cash cow blockbusters coming off patent), which in turn has spawned increased levels of corporate venturing and bio-pharma collaboration activity in recent years. In medium to large biotech, the trend of the last decade has been one of consolidation. Biotechnology M&A has served to grow the product portfolios of the most successful companies, for some has been an integral path in the journey to becoming a fully integrated biopharmaceutical company (the so-called "FIBCO") and/or to exploit more mundane synergies of cost and management. So how does the consolidation trend fit in? The corporate venturing has been noticeable and welcome. However, a key element of the above snapshot for small biotech companies is the recognition of fundamental efficiency drivers which can mitigate against their intrinsically capital intensive nature. Now, as any business school grad will be able to tell you, efficiency is the key tenet of the mainstream theory of the firm. The neo-classical economic analysis of Ronald Coase reaches the conclusion that the reason that people group together into collective economic units is to minimise the transactional costs amongst one another that they would otherwise incur in doing business, and thereby maximise their collective profits. A firm should therefore continue to grow in size as an economic unit until it becomes so bloated that the costs of doing business internally are greater than those prevailing in the wider market. The original Coase analysis has been subjected to sustained challenge since its arrival in the 1960s, including from those who point out that managers will often pursue personal utility instead of maximising profit (including salary, security, power). So while, in its purest form, the theory of the firm mitigates against the small start-up, in fact start-ups can thrive where they operate in a more efficient way than larger rivals (because of market imperfections, brought about by innovation, a disparity of knowledge/ skills, and other competitive advantages, including the super-human abilities of many entrepreneurs to leverage their waking hours!). When you add to this the attention that investors in start-ups pay to aligning their (long-term profit making) objectives with the founders interests, start-ups start to defy Coase's perfect market analysis and revisionist theories of the firm start to ring true. Despite the fact that the revisionist theory of the firm has been the staple diet of the education of many C-level executives in venture, PE, banking and the corporate development/ M&A world, the imperfect markets in which we operate can defy traditional analysis. Even the most nimble start-up will struggle to defy the bigger is better analysis where barriers to market entry and fixed costs are high. This is not the "consolidation" seen in the early 2000s, when many biotech companies were bought solely to be asset stripped and have their failing development programs shelved. This is genuine constructive consolidation, grounded on a very practical economic basis. In this context, it is hard to see why the trend to consolidation should not continue. I predict increasing activity amongst buy and build merchants in the small biotech sector over the next few years, not to mention a continuing emphasis on biotech communities rather than biotech clusters. What form should entrepreneur-led consolidation take? Many seasoned biotech entrepreneurs have been running various companies in parallel on a portfolio basis for years for this very reason. However, the time is ripe for a more organised approach amongst entrepreneurs - the benefits of a shared base of both cost and human capital plus an ability to benefit from a genuine product portfolio should rightly be overwhelming. More biotech start-ups should be joining forces! If a research scientist wishes to develop and commercialise a piece of research, instead of starting a single purpose company, wouldn't it make more sense if possible to join forces in a single economic unit with people developing similar but distinct technology from day 1? Thus, when it has become clear after some development that any given idea is a non-runner, all efforts could be focused on the most promising avenue(s), and the spoils shared. If I were a biotech entrepreneur, I would be looking around for any available opportunity to join forces with others in the same position as me from the earliest stage. This is not so much a cost case, but is about the benefits - it is about increasing the chances of getting a reasonable reward for the personal financial, emotional and time investment involved with a start-up. The loss or sharing of control would not be a problem for me - if the company takes off, there is a good chance that an external management team would need to be hired in any case.